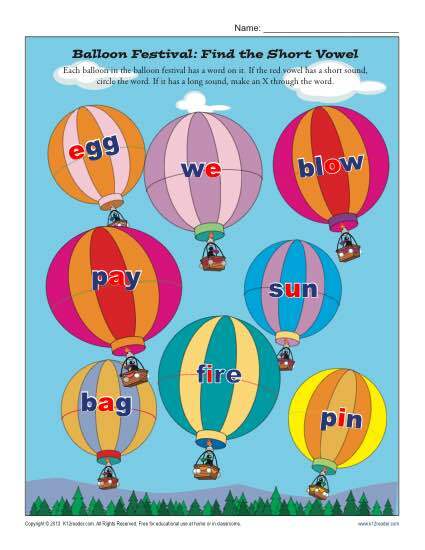 This colorful worksheet asks your student to identify the short and long vowel sounds on hot air balloons. It’s a fun way to learn this important concept. It’s also great practice for Common Core Standards for 1st and 2nd grade Reading: Foundational Skills. You may also want to use it with other students as needed.